Ever wondered what were QR Codes? 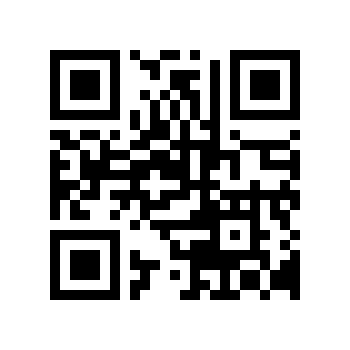 Basically, a QR Code is a two-dimensional bar code created by Japanese corporation Denso-Wave in 1994. The “QR” is derived from “Quick Response”, as the creator intended the code to allow its contents to be decoded at high speed. QR Codes storing addresses and URLs may appear in magazines, on signs, buses, business cards, or just about any object that users might need information about. Users with a camera phone equipped with the correct reader application can scan the image of the QR Code causing the phone’s browser to launch and redirect to the programmed URL. This act of linking from physical world objects is known as a hardlink or physical world hyperlinks. Google’s mobile Android operating system supports the use of QR codes by natively including the barcode scanner (ZXing) on some models and the browser supports URI redirection, which allows QR Codes to send metadata to existing applications on the device.